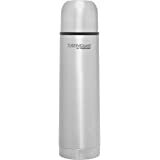 THERMOcafe Travel Mug has double wall foam insulation that retains hot or cold temperatures. 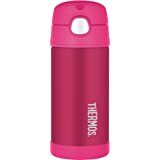 It has a durable stainless steel exterior with easy to clean plastic liner. It comes with a spill-resistant slide lock lid. It is stylish enough for work, yet rugged enough for the outdoors. It will fit most vehicle cup holders. 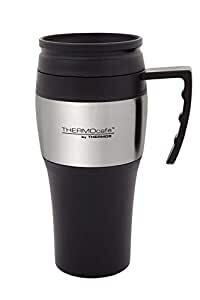 Capacity: 400 ml. Available in black/silver color.